You can discover the secret to the Law of Attraction. It is more simple than you think. Leave 1 Dollar is just an example to clarify the process. I will break my method down to three simple steps. You can use this same idea to draw financial increase to yourself, and become a blessing to others. Actually, I hope you do. The planet will experience much more prosperity if there is an entire community extending ourselves to others. There is nothing to buy. NO secret course for only $97. NO email list to sign-up for. NO private group for a monthly fee. 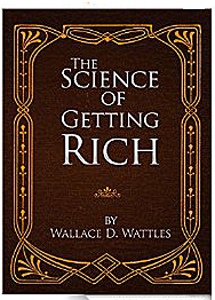 You have everything you need to become wealthy already inside you. 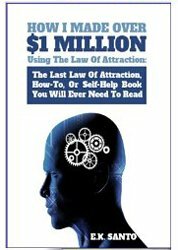 Leave1Dollar is just an ongoing journal of how following a specific plan helped me, and a few insights about the Law Of Attraction. I am not promising to make you exceedingly wealthy. You will find that only YOU have the choice and opportunity to do this. What I will do, however, is share what works for me, and chronicle how my own life is being affected with this simple implementation of the Law of Attraction. Thank you for visiting my site. Obviously, you were drawn to search for it, and the Universe determined Leave 1 Dollar is to be a part of your spiritual pathway. Just so you know, I'm a spiritual person. I see people as inherently good, and wanting to be the best they can be. I believe there is enough of everything (including money) to go around. I will use God and The Universe interchangeably, although mostly I stick with God. (It is easier for me.) Please use whatever works best for you...Divine Spirit, Master Teacher, Cosmic Guidance, etc. They will all work in the spirit world. 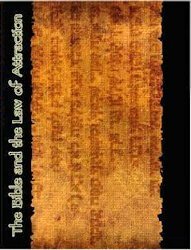 I also use a lot of quotes from The Bible because they have stood the test of time when it comes to initiating the Law Of Attraction. 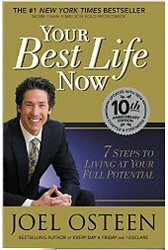 However, don't be surprised to see quotes from other spiritual leaders, like Marianne Williamson, Oprah Winfrey, Joel Osteen, or Ester Hicks. Although the tenor of this site is about helping to increase (and even explode) the flow of money into your life -- you will find that the other two important areas of your life...Health and Relationships...can also improve in quality. This site isn't solely about making a bunch of money...it is truly about changing your life to experience all of God's promises, while bringing goodness and Hope to others. Before we go any farther, let me give you a little insight on the Law Of Attraction. 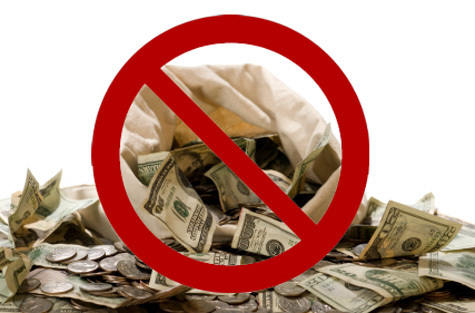 Just because you give your dreams and desires to God/The Universe, and follow the steps in Leave 1 Dollar, this does NOT mean a sack full of gold coins and $100 dollar bills will show up on your back patio. The Law Of Attraction is not about getting a surprise inheritance, purchasing the next winning PowerBall ticket, or getting rich quick. When you ask The Universe to give you financial wealth, and you do your part by being the best person you can possibly be...God will put the right people, events, and circumstances in your life to make this happen. You just have to be open to them. 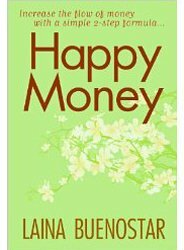 The Law of Attraction is all about ideas and opportunities to increase your financial situation...NOT a money drop. You will be asked to take personal action, however, you will be guided to prosperous activities that you will now enjoy doing. I understand that some who visit here will smirk at the simplicity of initiating this life-changing formula. Some will be turned-off and leave because it is uncomplicated and sounds silly. I have come to believe that there are no coincidences in The Universe/God's World. The spiritual vibrations you sent out guided you to this site. For some reason, known only to your subconscious, you needed to read this...and you attracted it into your life. Whether you follow through, or not, is totally up to YOU. Think about it...what could possibly be easier than anonymously leaving a dollar bill, in a semi-hidden spot, to bring blessings to a stranger...and ultimately, financial increase to yourself? another withholds unduly and comes to poverty. Nothing will happen until you put the information of Leave 1 Dollar into practice. Remember, every promise from God demands a responsible action from you. I am not saying my way is the only way to make the Law of Attraction work...nor am I saying it is the best way. 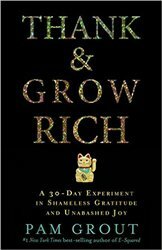 It is just a way that has worked for me to increase my wealth, and I wanted to share it with others. No single path to anything...losing fat, building muscle, getting a date...works for everybody. But what have you got to lose if you try it for 30 days? If it doesn't work significantly, it is my belief that you will be guided to an even better method God has designed specifically for you. Best wishes as you take the next step along your spiritual path. I wish you a lifetime of abundance and prosperity. I truly believe God will bring you the desires of your heart when you become a blessing to others. These three simple steps will reveal the secret for you to harness the power of the Law of Attraction. Creating wealth does not have to be complicated. Your purpose in life and the Law Of Attraction. When you focus on becoming a blessing to others, when you push yourself to be the best person you can be, you will attract goodness. Words and the Law of Attraction are inseparable. Your words create your reality. The words you think and speak must be uplifting. The importance of gratitude is a foundation of Leave 1 Dollar. Thankfulness in ALL circumstances, maintaining a grateful outlook, powers the Law of Attraction. How you prepare your dollar is up to you. This is how I do mine. It doesn't really matter for the Law of Attraction to work. Giving and the Law of Attraction go hand in hand. However, you must give without the expectation of reward. You give from your heart, not your head. When you give to get, you block positive results. Action And The Law Of Attraction is one of the most misunderstood concepts when it comes to manifesting wealth. If you want results you have to take personal action and move your feet. Getting rich with the Law Of Attraction is a worthy goal. However, your sole purpose for wealth must be so that you can become an even bigger blessing to others. 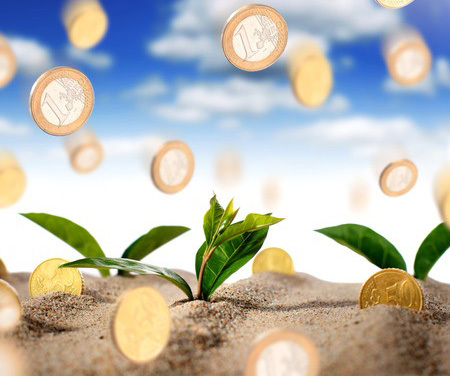 Receiving your wealth may come in a variety of different forms. God's Promises will be fulfilled, but the Universe chooses how to answer your prayers for wealth. Leaving five dollars and the Law Of Attraction is my new strategy. The financial increase from my home business has allowed me more wealth to extend to others. Hard work and the Law Of Attraction are actually more related than one might think. Taking personal action and keeping faith when no results seem forthcoming are difficult. Law Of Attraction quotes are both motivational and practical. We can meditate on certain quotes about the Law Of Attraction, then integrate them into our life. Scripture permissions for usage of Bible Scriptures. Leave 1 Dollar blog is a Law of Attraction Chronicle about my experiences using the simple method I present on this site. Leave 1 Dollar blog archives. Start from Day 1 to see my experiences with the Law of Attraction. Giving To Get is a Law Of Attraction foundation. It is fundamental for increasing abundance. You will see financial increase when you give unselfishly.